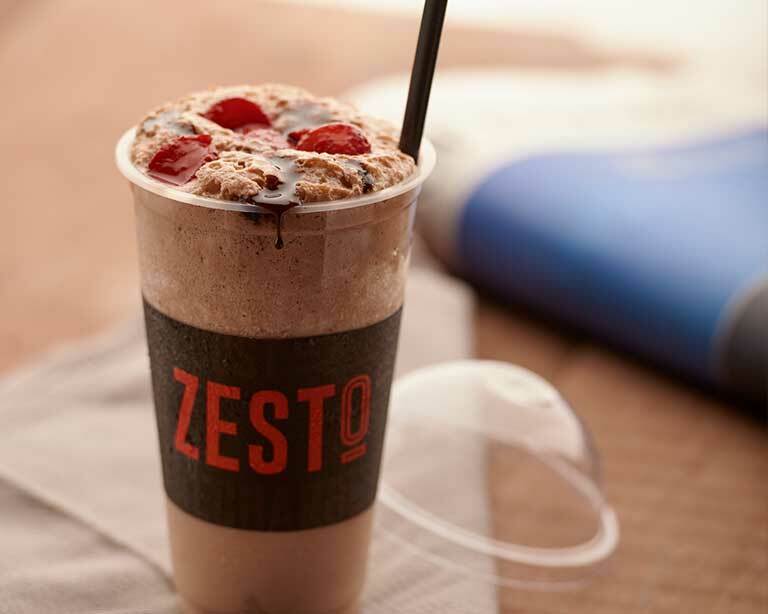 Zesto is a cosmopolitan, round-the-clock quick service restaurant chain. It was created to be a place unlike any other, a place that helps hungry customers see beyond the obvious fast food choices and rise to the next culinary level. Our focus is to be a place that offers fresh fare, served with a fun, friendly attitude while making our guests feel right at home. We call it evolved eating. Our attention to detail is what truly sets us aside -we obsess about all the details that surround our food… our presentation, our team, our store, packaging, and so much more, especially the ambience and all that has to do with guest experience. Our team consistently pushes us to deliver more and find new ways to impress our guests. Our menu ranges from fresh juices, smoothies, sandwiches, wraps, coffee, to cookies, muffins, frozen yogurt… Try us now, and keep coming back for more. 2016 FoodQuest Private Limited. All rights reserved.